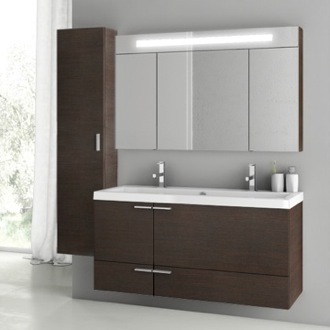 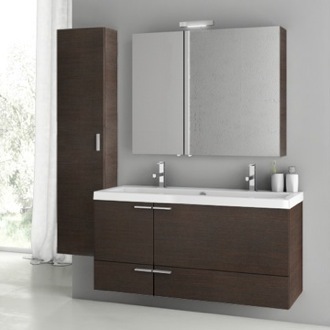 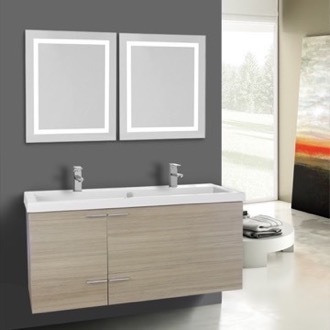 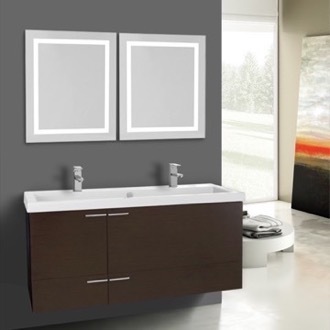 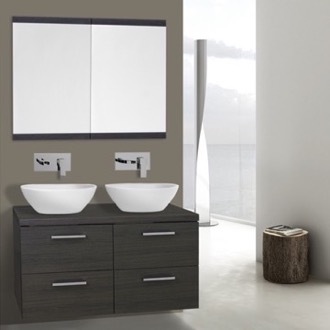 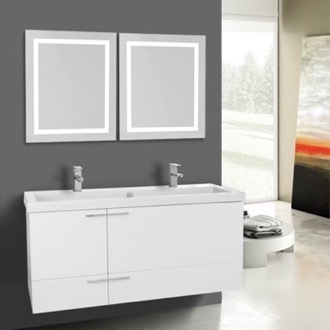 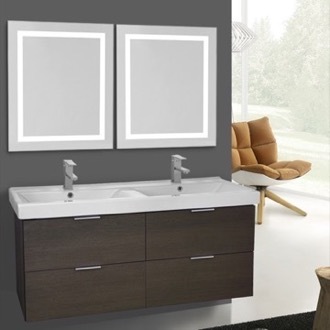 Shop our selection of double bathroom vanities and get FREE shipping on all orders over $99! 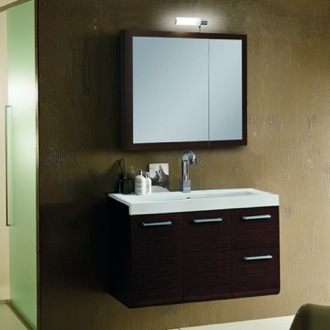 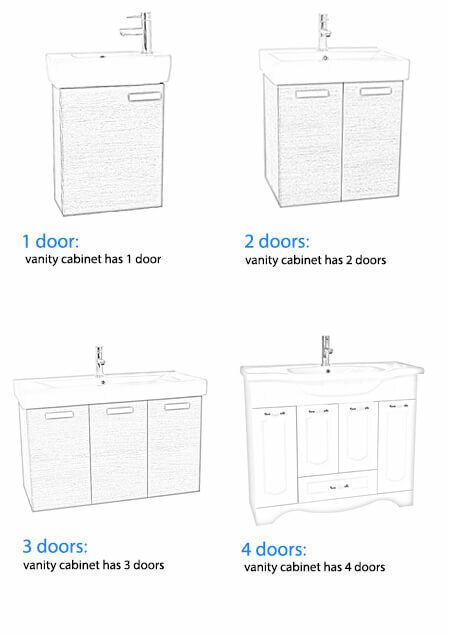 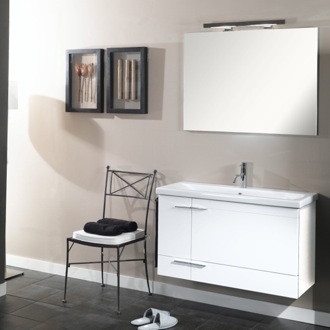 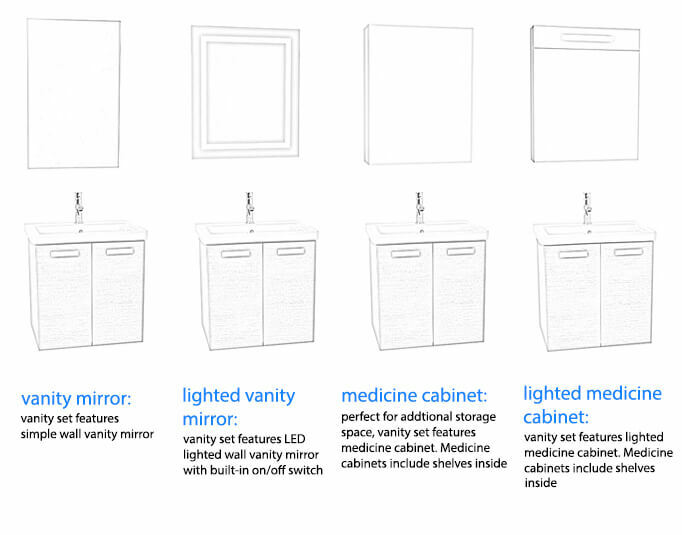 Double bathroom vanities allow multiple people to have their own space in the bathroom. 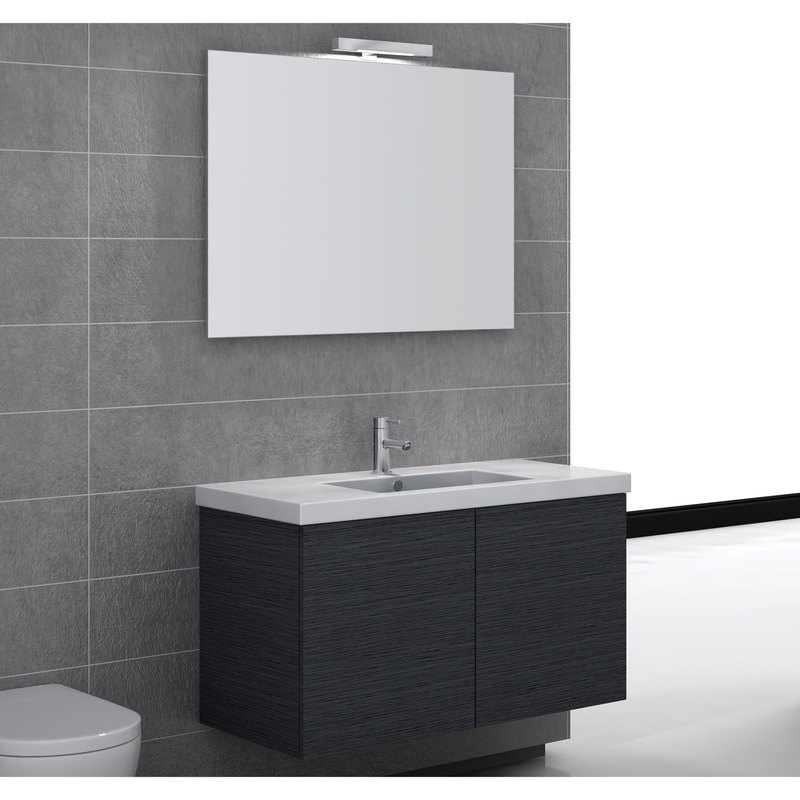 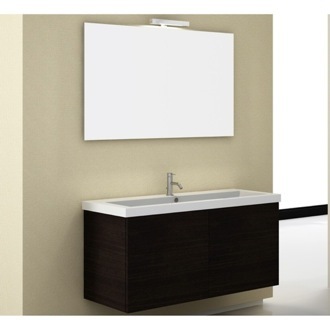 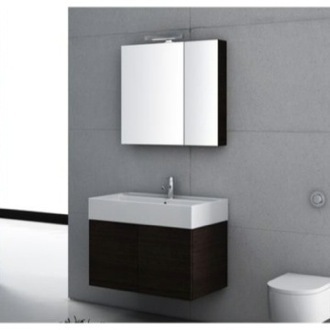 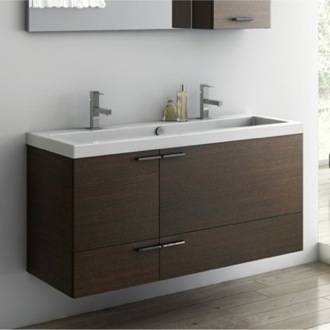 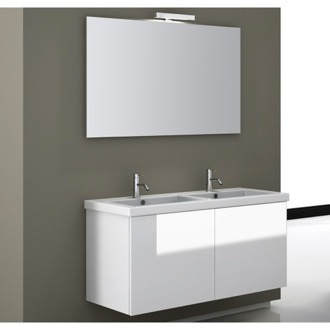 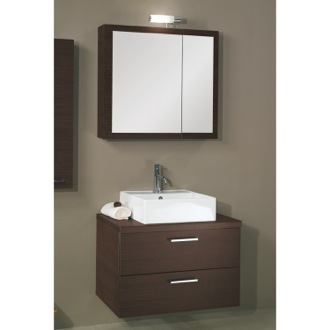 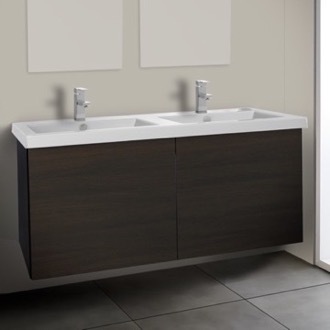 Dual sink vanities are particularly popular for master bedroom ensuite bathrooms. 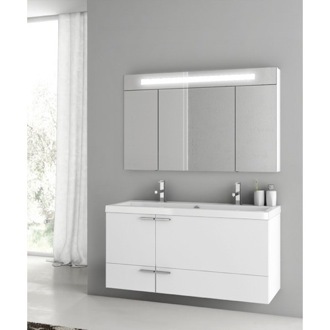 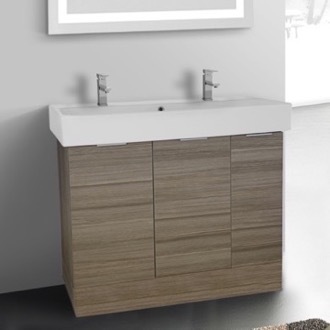 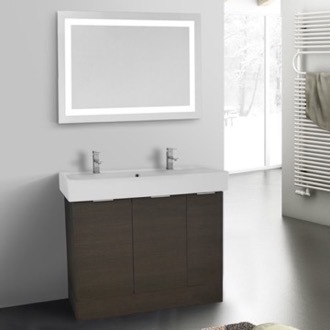 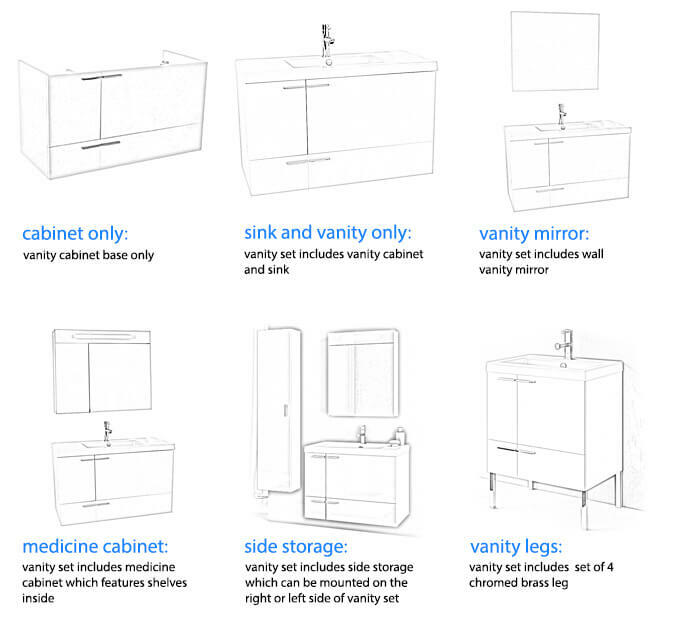 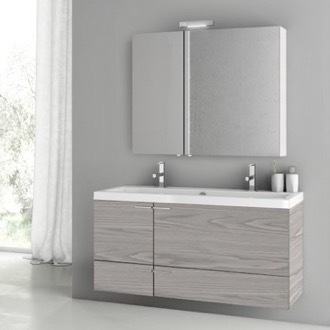 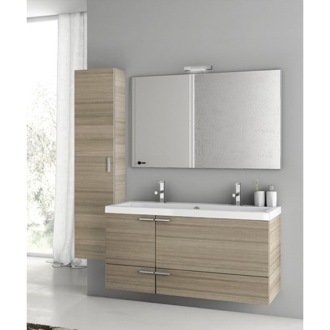 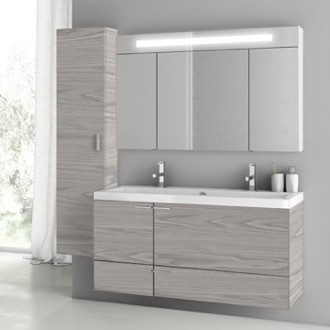 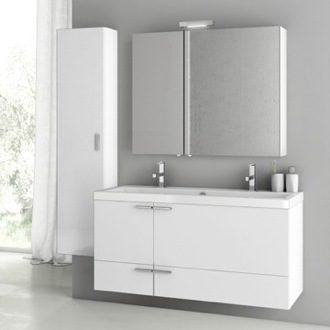 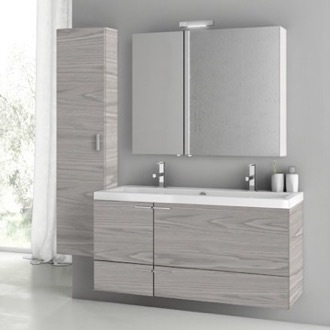 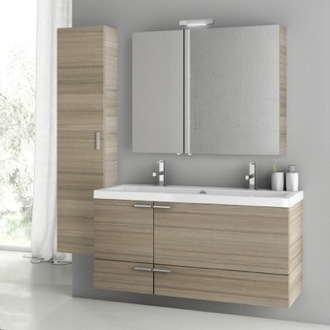 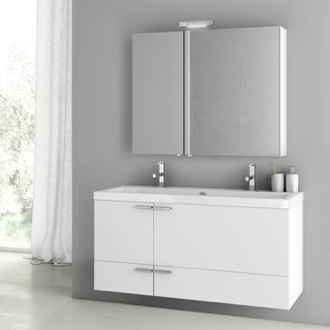 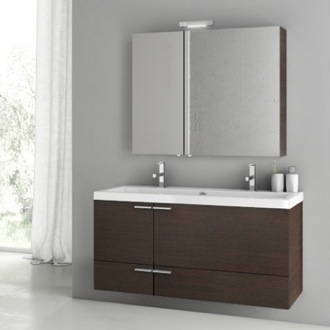 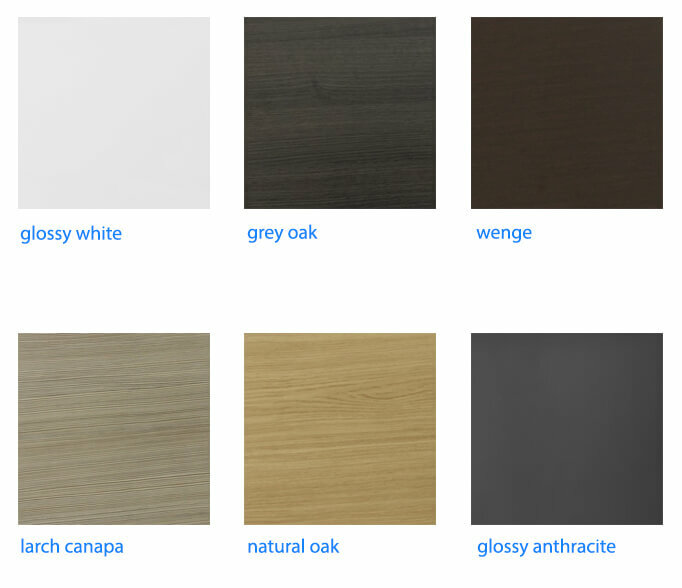 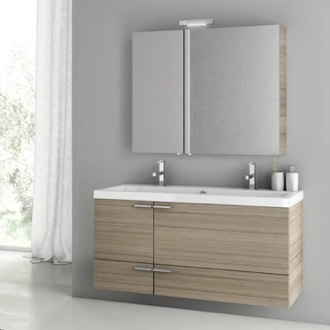 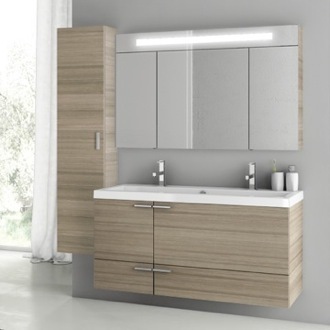 You can choose from wall-mounted or floor standing double vanities, plus select your desired finish, sink size, countertop space, and storage type. 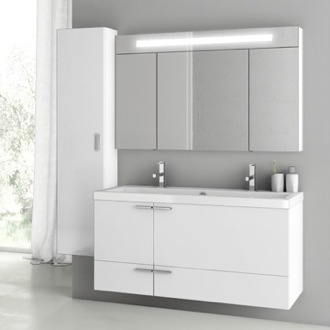 A double bathroom vanity isn't just for big spaces; many vanities are compact enough to fit smaller bathrooms while still offering up two sinks. 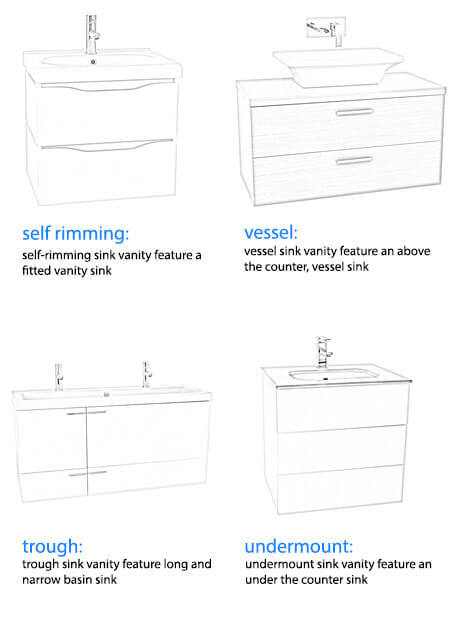 More shopping tips Is a master bathroom complete with only one sink? 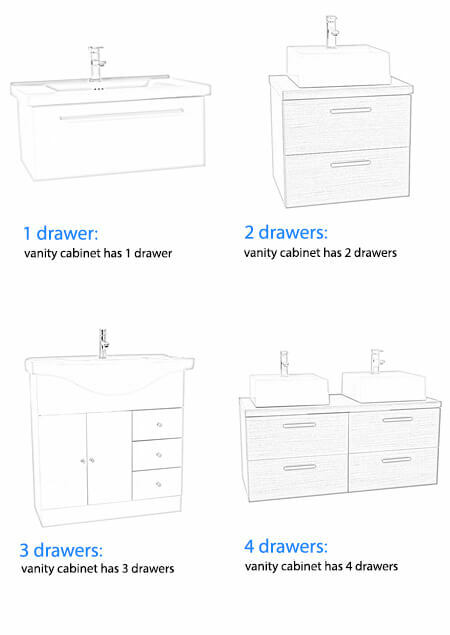 We're not sure. 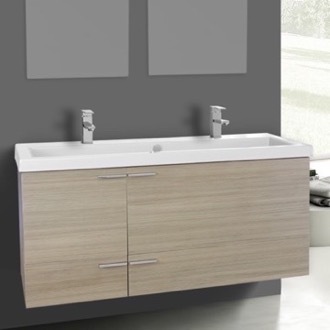 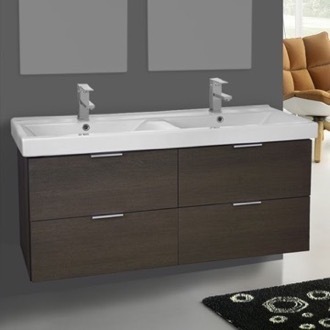 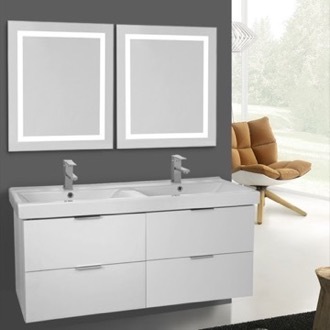 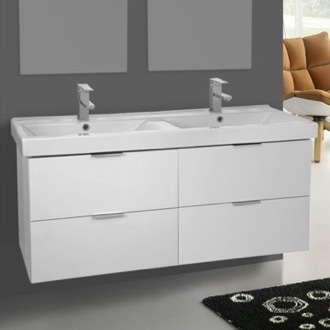 But in case you have the answer, we offer an expansive collection of double sink bathroom vanities to transform your bathroom from cramped and hectic to calm and efficient. 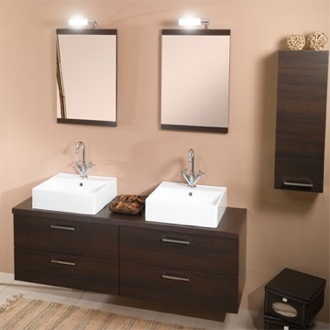 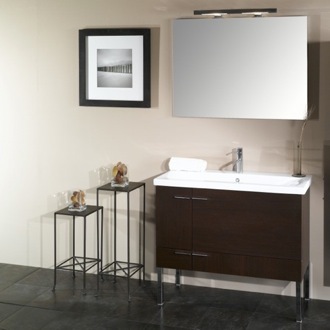 Our double sink bathroom vanities are available in classic, modern, contemporary, and traditional styles. 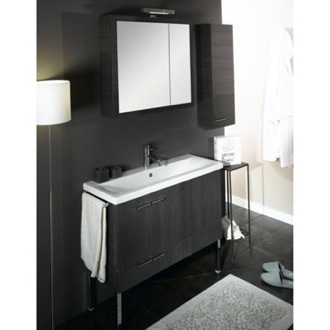 You'll also enjoy browsing our variety of finishes and unique yet ideal storage layouts. 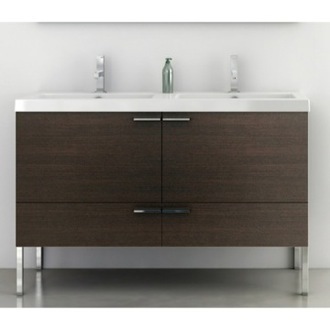 Double sink bathroom vanities have come a long way. 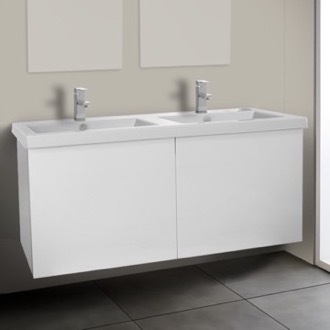 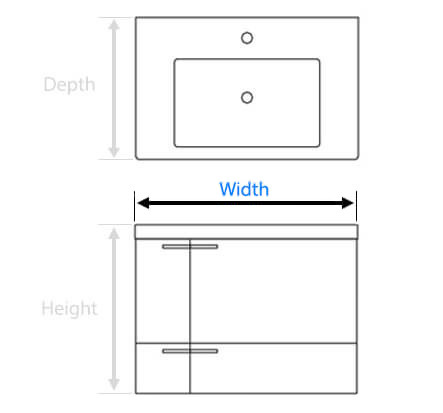 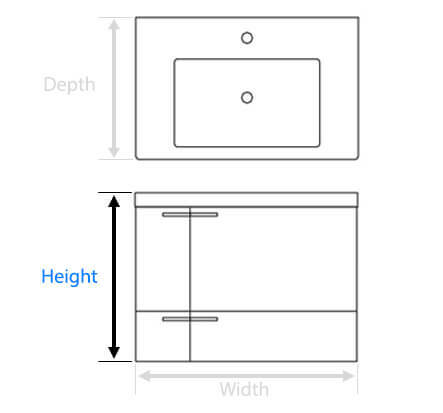 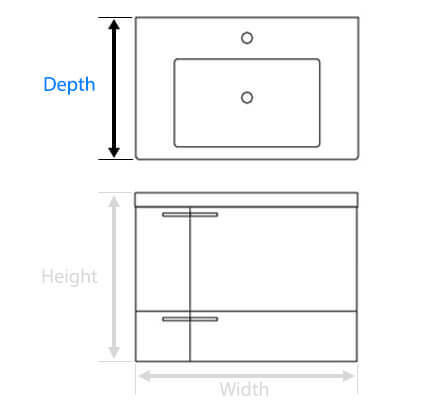 We love the trough sink variation, which turns most of your front counterspace into a long sink. 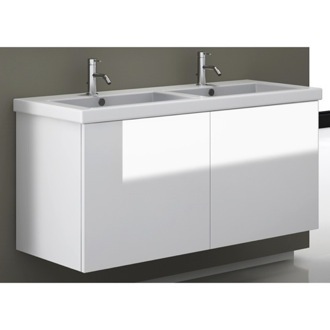 You'll enjoy two faucets and plenty of elbow room without the maintenance of two separate sinks. 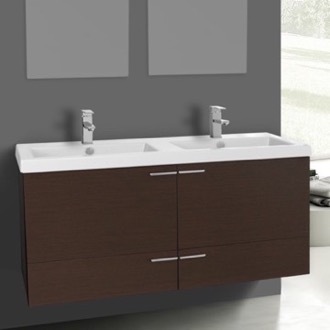 Behind the sink, there's still enough space for a few toiletries and décor. 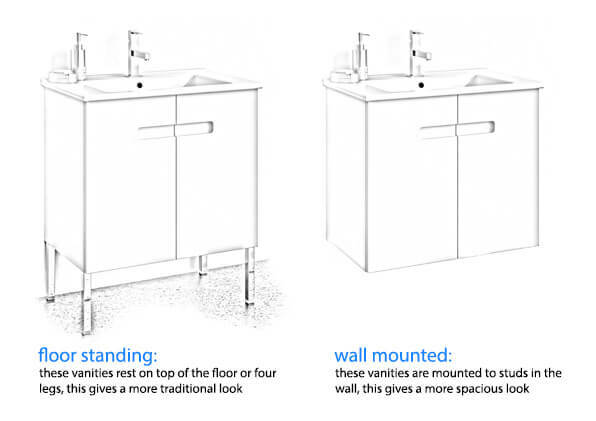 Or you can go with the more traditional setup and enjoy two separate sinks built into one of our high-quality countertops. 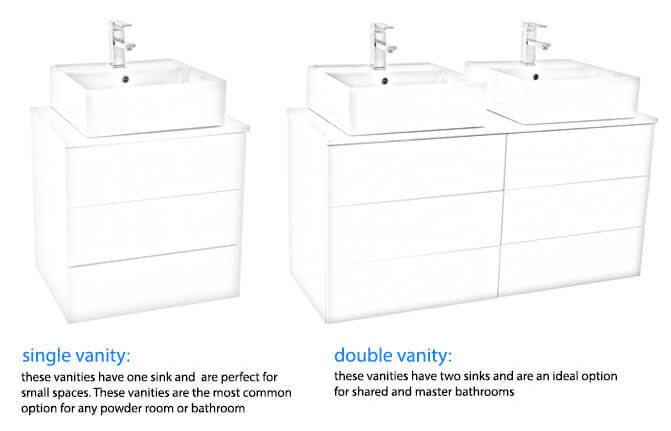 Either way, you'll love your double sink bathroom vanity.